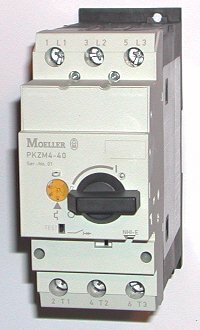 PKZM4 Klockner Moeller manual motor starters. Klockner Moeller's rotary operated PKZM4 manual motor starter includes an adjustable motor overload with short circuit protection. The PKZM4 accepts most accessories from the PKZ0 series.